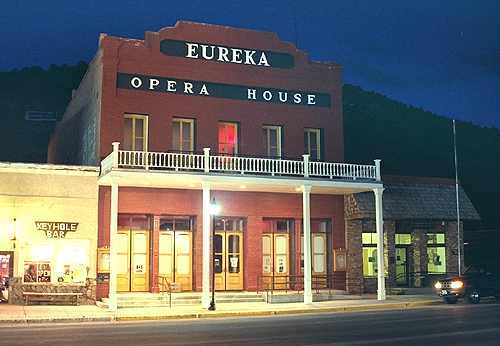 Eureka Opera House, built in 1880 and restored in 1994, with its original 1924 hand-painted stage curtain, offers an interesting historic experience. By 1880 Eureka's population reached nearly 10'000. But then the mining production began to fall off and things looked bad for the young town. 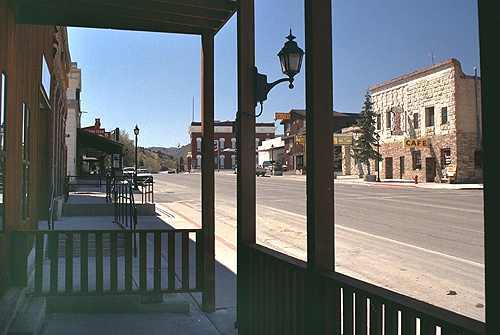 About this time several Comstock-made millionaires built a railroad into Eureka, and because of its central position in the state, the town became a railhead for the whole area. There were still some mining activities at intervals, in 1905, during the first world war and in the 30's. 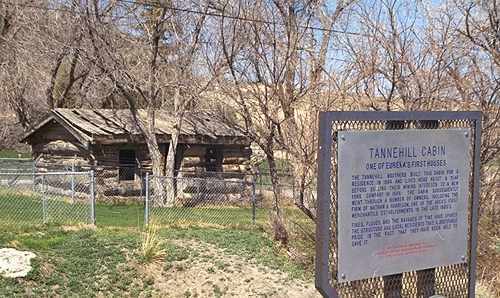 The smelters, which were established under many difficulties, had been closed since 1891. Until then, approx. $40'000'000 in silver, $20'000'000 in gold and 225'000 pounds of lead had been produced. 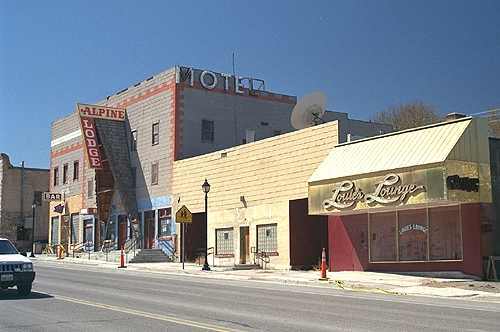 There is still life in Eureka, partly due to the fact that a paved highway with its tourists passes through.